As an ex-Evangelical myself, I can tell you that there is always so much talk about finding a so-called "Personal Relationship With Jesus" almost as if once you've arrived at that stage of the Christian life, then that's not the finish line, but the starting gun itself. The depressing irony, of course, is that Evangelicals insist that you have to constantly do things to maintain that relationship with Christ, but they set the bar so high that it's next to impossible for anyone to ever achieve the kind of standards they tell you that you should not only desire, but be able to reach (but only if you're a "true" Christian). Worse, they completely fail to realize that they only perpetuate the problem that they're trying to eliminate thanks to a steady dose of the Law without an ounce of the Gospel. The 50,000 pound elephant in the room that sits on your chest and pins you to the floor is the fact that they preach "another Gospel" (Galatians 1:6-7; 2 Corinthians 11:3-4) that suffocates you under the full weight of the Law all the time with no hope of the Gospel to offer you any relief whatsoever (leading you to despair and/or guilt). 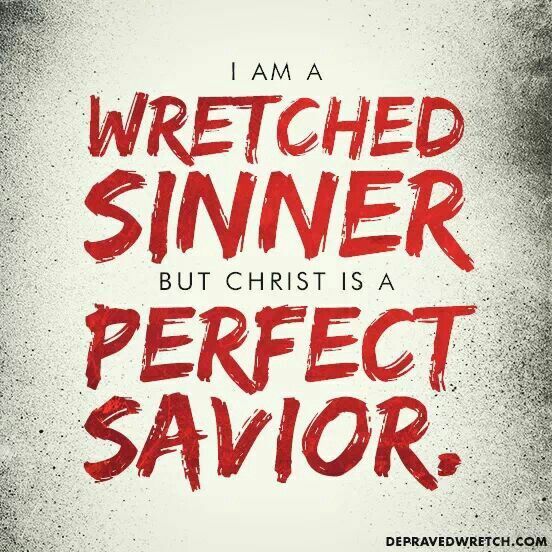 If you're one of the "Super Christians" that have been canonized by a "church leader" or two as the "Model Christian" due to all of your "good works" in Jesus' name, then you almost certainly succumb to pietism (the bad kind of piety) and pride. That's why it was like I could breath for the very first time in my life once I learned there was this thing called the "Divine Liturgy" that was so much better than a mystical, subjective "Personal Relationship" type of thing, and that it was the one thing that could instantly get the elephant to stand up off my chest and walk itself out of the room entirely. A while ago I was asked by someone skeptical of the liturgy, "Why would you keeping on doing what you have always done knowing that it was not working?" Ignore every other aspect of what this person was saying and concentrate only on that last point -- "knowing that it was not working?" He brings up a legitimate point -- how do we know if it is working or not? Many years ago, a parishioner who now rests from her labors came to me upset about something. I not only noticed that she was agitated but that her face was well beyond red and veins were bulging. Knowing that she had chronic high blood pressure problems, I asked her about her blood pressure. She informed me that she no longer was taking her medication because she did not feel any different when she was on it as when she wasn't. So she reckoned she would take it again when she felt the need. We took one moment to deal with whatever it was that had her upset and then I turned to the issue of her blood pressure. Since my wife is a CCRN and has educated me a bit on matters medical, I counseled her to speak with her doctor and to go back on her blood pressure medication right away. I suggested to her that she may not feel the medicine working but that, indeed, it was and that by the time she felt she needed the medication damage may already have been done (even catastrophic damage like stroke). The Church may not feel the liturgy working or see signs of it working but the surest way to find out what it was accomplishing is to take it away. For nearly all of church history the liturgy has been an anchor of orthodoxy, a beacon of the Gospel, and the powerful rudder steering the Church to the solid path of Word, Sacrament, Law and Gospel. During all that time there have been heresies, false teachers and false teachings, distortions of the truth, and innovations that cast a dark shadow over the faith. These were not only the distinctions of academics but things that touched the very heart and soul of the lives of the individual Christians within the Church. Yet through it wall, the liturgy was there. When the pulpit was captive to false truth or no truth, the liturgy spoke clearly and powerfully. 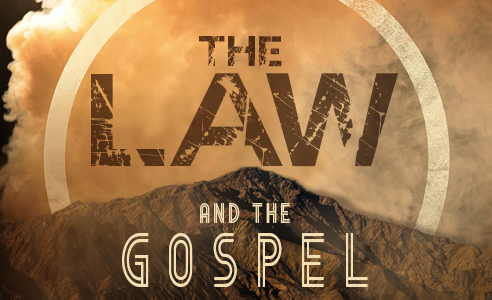 When pulpit and altar were together on the same plain, the life of the Church was richly fed. It also occurs to me that gathering people in and keeping them there, keeping them growing and maturing in faith and life in Christ, may be at cross purposes. When the liturgy is there, when the lectionary drives the lessons, hymns and sermon, when the focus is on the Word and Sacrament, the stuff that Christians need is there. When creed and confession inform worship and piety and when worship and piety reflect creed and confession, the Church is anchored fairly securely in the means of grace. I for one do not want to find out what happens when generations of people grow up in the faith without the liturgy, without the twin foci of Word and Table, without the rhythm of the Church Year lived out in pericope and hymnody, without the Law and Gospel voices so clearly planted in these ancient patters and faithful words... I don't want to find out what the Church will be like without these anchors of orthodoxy in confession and life. It is bad enough with all these things in place -- what will happen when worship becomes a program, when outcomes drive the content, and when relevance is more important than faithfulness? Is it working? If the Church is still here, if people are still being fed the Word and Supper of the Lord, if sins are still being forgiven, if creed still invites confession of faith before the world, if sermon still conveys the whole truth of God's Word (the double edged sword of Law and Gospel), and if music still speaks the story of Jesus (and not our own personal stories), then it IS working -- better than we know -- to keep us on that narrow path that leads us to life everlasting in Jesus' name. Isn't that beautiful and comforting all at the same time? Once again (and this is why I've personally come to love the things we Lutherans believe, teach, and confess), the grace of God as found in His "Means of Grace" that are the truth of His unmerited grace, mercy, and salvation delivered to us through His Word and Sacraments that comes from outside of ourselves, and flow from Him down to us, rather than finding their source somewhere within us, as if we go to church to give something to God that He needs from us. Extra nos (or literally "outside of ourselves). It's taking something physical, tangible and then knowing that He is present in, with, and under them as He speaks to us using the very means that He always intended to use to speak to His children here on earth. How is that not better than the whole "Personal Relationship With Jesus" stuff, which is highly subjective anyway? 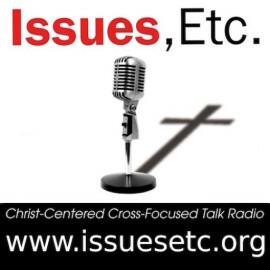 Perhaps Pastor Chris Rosebrough's recent appearance on Issues, Etc. where he discusses this very same thing with Rev. Todd Wilken is worth referencing at this point. 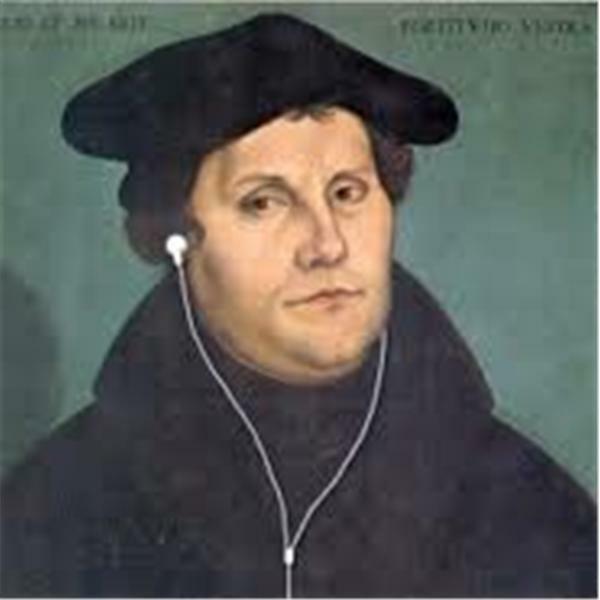 Trust me, that is "Must Listen" material for any Christian whether you're a life-long Lutheran or even a non-Lutheran. Not only do they make some keen observations about Christianity today (particularly regarding American Evangelicalism or "Pop-American Christianity"), but they both do a much better job than I ever could of clearly defining the Divine Liturgy, of explaining the critical differences between Liturgical and Non-Liturgical churches, and they even identify the key Biblical reasons why the Liturgy is a true gift from God that, unfortunately, has been often-ignored by so many Christians in recent decades. Best of all, they even note the reasons why so many Christians (regardless of their denomination) are starting to reverse the trend by seeking out Liturgical churches for themselves and their families to attend. Now, if you really want to dig into this topic a little deeper, then do check out Pastor Bruce Timm's recent 11-part "Why Do I Use The Liturgy?" series published by Steadfast Lutherans, which should definitely fill in any blanks and answer any of your remaining questions quite nicely. 1. The liturgy rescues from the tyranny of the old Adam. 2. The liturgy rescues from the tyranny of individualism. 3. The liturgy rescues from the tyranny of contemporary culture. 4. The liturgy was used in the garden of Eden. 5. The liturgy teaches the young and sustains the old. 6. The liturgy is boring. 7. 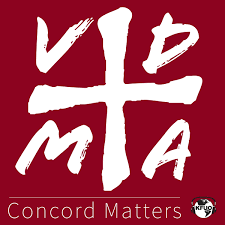 The liturgy is one of the most public witnesses of “synod” we can give to our members and the world. 8. Using the hymnal prevents global warming. 9. The liturgy is catholic and evangelical. Tested in the church. 10. The liturgy brings us into heaven while on earth. 11. The liturgy is the best at delivering Christ to us. If reading's not your thing, then you should definitely watch and listen to Pastor William Weedon's video presentation "Introducing American Evangelicals To The Historic Liturgy" that I highlighted almost a year ago. Simply put, why would any Christian not want to receive the kind of blessings that the Divine Liturgy offers? For experience-driven Evangelicals, isn't being a part of the Divine Liturgy -- being a part of something that's rooted in classic, orthodox, traditional Christianity -- the most complete Christian experience that one can have? Sure, there's always the danger of keeping the practice of the Liturgy week-in-and-week-out while changing the words to make it fit with some popular false teaching, but as a former Evangelical, I can assure you that attending a worship service where everything is Christ-centered and cross-focused is much better than attending a worship service where everything is about Me, Myself, And I and what I have done (and can still do) for Jesus instead of what He's done (and continues to do) for me. The best way for me to communicate to you what it was like for me going from one kind of church service to the other is to merely quote "Myrtle" who commented on that piece from Pastor Peters. Having only been in liturgical services since the mid-spring, perhaps I am not one to comment, but I will. For nearly three decades, I have left church hungry. Sometimes more, sometimes less. For much of the last two decades, I have vacillated between despair and disgust that the most common comment about scripture I heard was a plea to "bear with me" for the "long passage worth reading," long being anything over two or three verses, comments that were essentially apologizing for reading the Living Word in church! I have been treated as strange, even labeled a "bible freak" and "Jesus freak" because I memorize scripture and like to talk about what I have read or ask what you have been reading and, gasp, actually read ahead for Sunday School lessons or bible studies -- this, for the most part, in evangelical, bible churches. This even on the mission field. In liturgical services at the confessional Lutheran Church I have now joined, I am bathed in the sweet, sweet Gospel from the first word spoken to the last. The time I spend in God's house is filled with the Living Word, falling from my lips and those around me, filling my ears from the pulpit to the pew. In the liturgy and in the sermon, in the mercy and grace of God, I am given a right division of Law and Gospel so that I might learn of the fullness of His plan for His people and understand better the completeness of the gifts of faith and forgiveness He has for me. It is a works-free zone! No popular trend or Christian literature in sight! I know that it has just been a few months, but, honestly, I cannot imagine how liturgy could ever be considered drudgery -- a comment I have seen in many blogs, not just here. Such puzzles me. I have had the gift of faith for 31 years. In that time, I have struggled mightily, but I have always clung to the Word of God. I am constantly amazed that God would gift me, a wretched, oft weak sinner, with a book so profound, so powerful, and so very personal as the bible. For me, it is an honor and a privilege, a blessing beyond compare, to sit within God's House where a liturgical service is taking place, even though I sometimes feel the interloper because I cannot follow the Divine Service as easily as those around me and I do not know almost all of the hymns that have been sung to date. It is an honor and a privilege and a blessing because the precedence the Living Word has in liturgy. Although our service goes well past the "traditional" hour, I am always a bit sad at its end, not ready to go, wanting more. On the Sundays I have not been there, I ache for what I have missed. Even though it has been mere months for me, I cannot imagine, even once, considering liturgy as anywhere near drudgery. Nay, I cannot imagine it being anything less than precious to me. And it is my fervent hope that it will always be valued in the confessional Lutheran church no matter what new trend may come next. In a Lutheran layman's terms, I pray that more and more Christians will come to appreciate the gift we have in the Divine Liturgy, because it's everything that Evangelicals are looking for these days, and everything that any Christian needs.